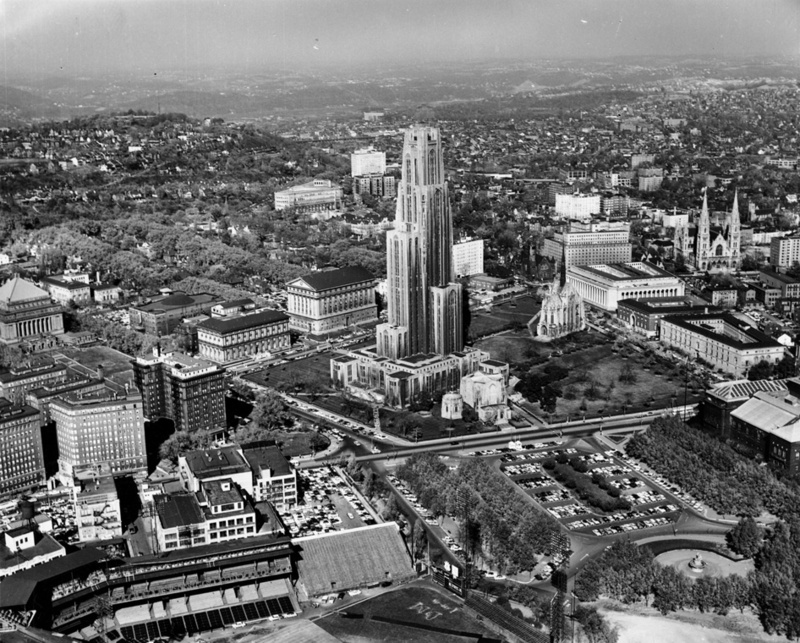 Aerial view of the University of Pittsburgh Campus, circa 1955. The University of Pittsburgh typifies the growth of the modern research university after the Second World War. Symbolized by its famous Tower of Learning, Pittsburgh joined Penn State University, Temple University, and Lincoln University as a state-affiliated Commonwealth university in 1966. Large, academically diverse, and committed to both undergraduate and graduate instruction, Pitt and its counterparts reflect one of the most important trends in modern higher education in Pennsylvania and across the country.